Did you know that the giant panda has been on the endangered species list since 1990? 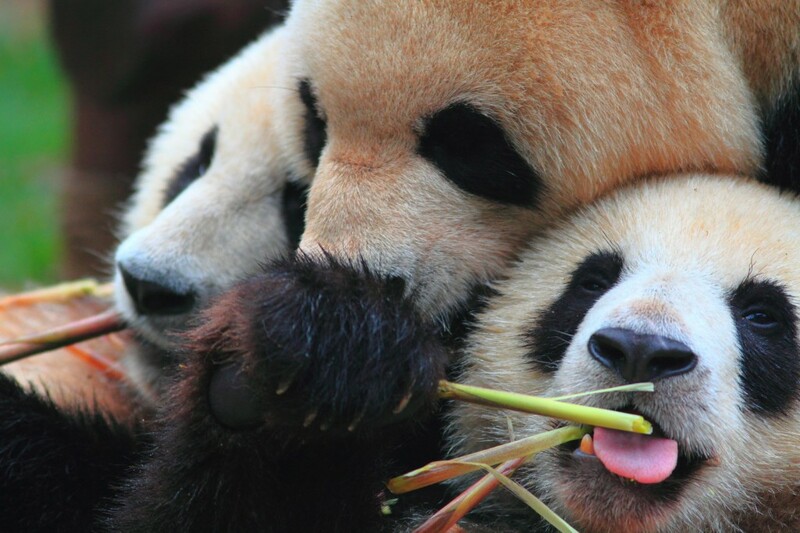 The most significant threats to pandas are habitat loss and poaching. This photo was taken on our Wild Side of China trip, where you can see giant pandas. When a lion roars you can hear it up to five miles away! 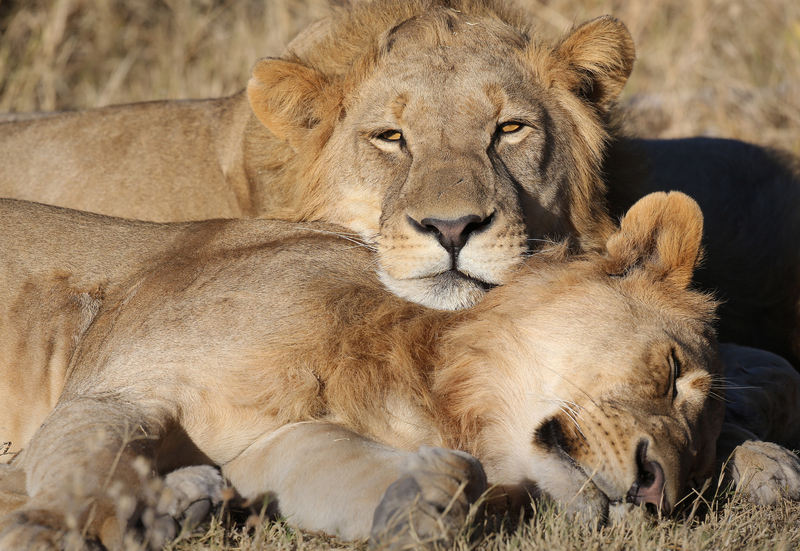 Check out more some more interesting facts about these majestic animals if you are a lion lover. You can get the chance to see these amazing creatures on any one of our trips to Botswana. 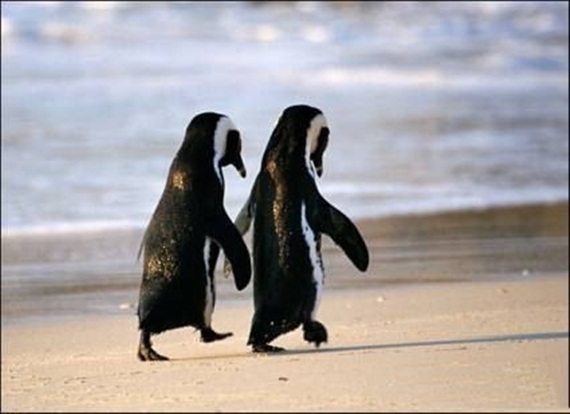 In order to survive the harsh winters, emperor penguins huddle together to conserve warmth. They rotate who stands on the perimeter to block the freezing winds and who stands on the toasty interior. 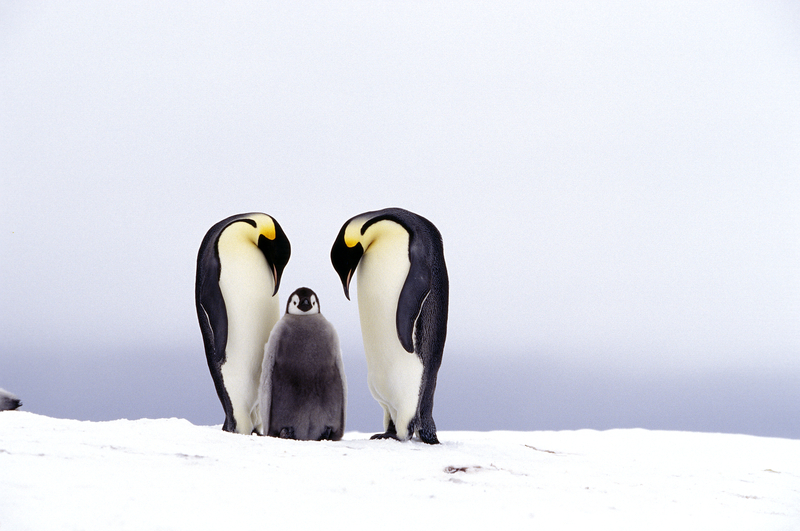 This photo of a mother and father emperor penguin with their chick was taken in Antarctica. 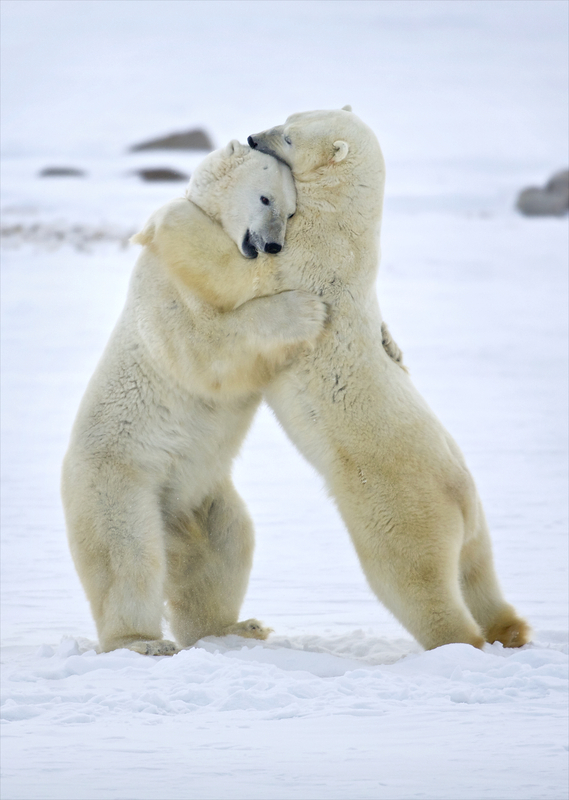 Polar bear hugs! These polar bears are actually doing what is known as sparring. During this type of playful behavior, it is said that it reinforces relationships amongst the bears and develops muscles and muscle movements for future survival mechanisms such as hunting. This photo was taken on a Nat Hab Polar Bear tour in Churchill, Manitoba, Canada. 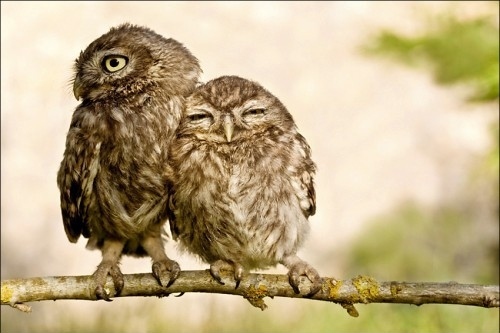 You can spot burrowing owls through many parts of North and South America. They are known to live throughout the Rocky Mountains with a dominant population in Colorado, however, this population is threatened. Subspecies can also be found in South America scattered throughout the Andes in Ecuador and Perú, and ranging from Brazil down to Patagonia and Tierra del Fuego. We just couldn’t resist. 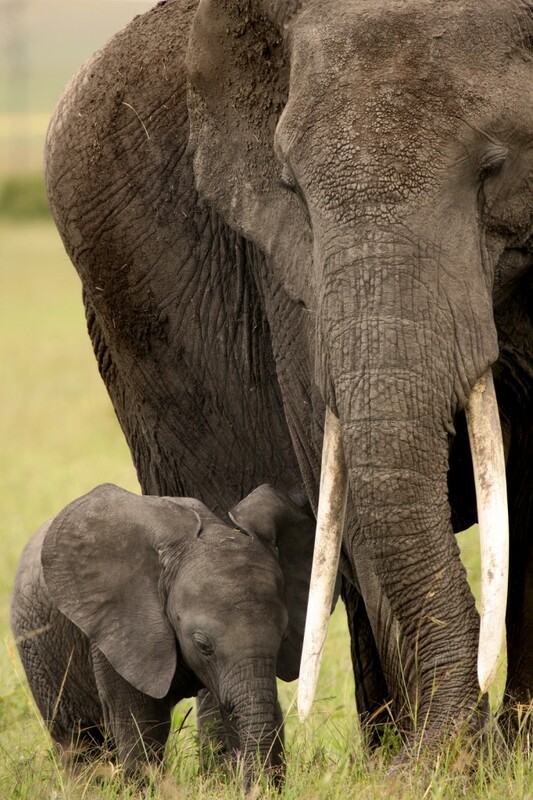 This adorable photo of a baby elephant with its mother was taken on our Secluded Tanzania Safari tour. A female elephant will typically remain together with her mother well into her own adulthood, and will likely never once be separate from her until the mother dies in old age. Male elephants tend to get a little to rowdy at puberty and will become a solitary bull elephant around the age of 12. These cute creatures are critically endangered. Our conservation partner, World Wildlife Fund, has estimated that their population is fewer than 2000. You can spot them on any one of our trips to the Galapagos Islands. I just found this site today. I have a pic of a doe expressing maternal love to her fawn. It is a definite attention getter and keeper May I forward it to you for review and hopefully display? Sure! Feel free to send it to info@nathab.com. Thanks!